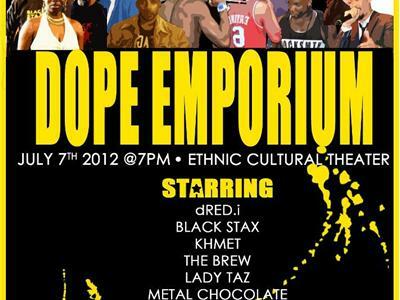 Join myself and Jace ECAj from Black Stax who is one of the founders of the ORIGINAL Dope Emporium/Hip Hop Festival here in Seattle, WA. 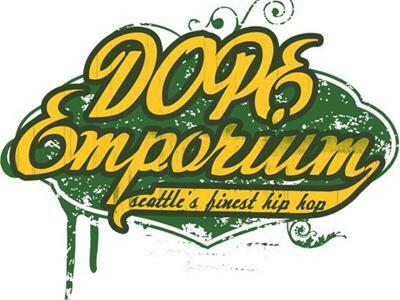 He will share the story and origins of Dope Emporium and what we can expect this year at Dope Emporium 2012. 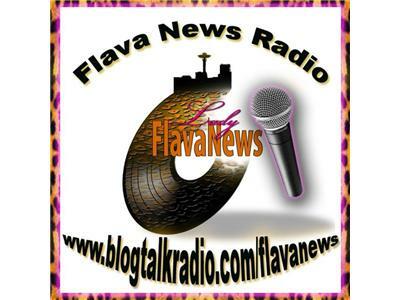 Of course I will share some tracks from a few of the artists that will be performing this year. 5 elements (B-BOYS/ GIRLS, EMCEES, DJ, GRAFFITI, and KNOWLEDGE) in 1 building! Come see some of the world's finest Hip Hop and the pioneers that built the 206 foundation. CHID 250B is the class that combined all the elements to produce one of Seattle's favorite drinks: THE BREW!!! for $7, come get free refills all night. Support by Office of the Minority Affairs and Diversity, Ethnic Cultural Theater, Sigma Lambda Gamma National Sorority, Inc. Blue Shoes Media, Lady Flava, and Rainy Dawg.